There are many adults who don’t know how to ride a bicycle. Either they have never been taught, never learnt, or there were no opportunities to learn. In most cases, society itself was a hindrance because some communities live in mountainous regions and you don’t get a strong cycling culture there. If not there are certain taboos associated with women riding cycles for instance, and thus stars are suppressed even before they are made. If you are thinking of starting to ride and learning how to balance on the 2 wheels, here are the models to start off with. If you want to go pro, keep reading. The best bike to start off with would be vintage bikes simply because the frame is simple, heavy and has an easy form that allows you to sit straight and hold onto the handle bars. it is important that the bike is heavy because it is easier to balance on one when you are learning. As you get more proficient, you’ll find that lightweight bikes allow you to go much faster, but these solid numbers are more dependable at first. Once you can balance and ride safely down a crowded roadway, you can look into becoming a pro by investing in road bikes for sale. These are the racing cycles that you see advertised in sporting goods shops. 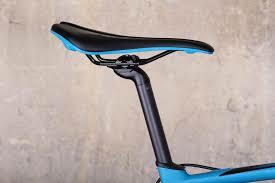 The frame is lightweight, the tyres are slimmer and bouncier and the entire form is streamlines to adjust to maximum speeds and the least amount of wind resistance. It is a good idea to practice on tracks first and then move onto open road. Remember that racing is not just about how technical your skills are; it is also about stamina, endurance, strength, and sheer steely sinew. In order to get to that point, you will have to train in multiple ways and become stronger and faster. These mountain cycles can go both ways. Some are used in off road races where riders scale dirt walls, muddy ponds etc. in order to get to the finish line. Then there those bicycles that friends will ride together on their way to a trekking, hiking or camping spot. These bicycles are hardy and can handle rough terrain. It is an eco-friendly way to get through forest and mountain and is perfect for those craving some adrenaline. They are highly shock absorbent and are built for accidents, so one or two tumbles will not so much as shake the bike.